Our clients, the parents of a toddler, were distraught when they were dismissed by emergency personnel following a fall injury involving their daughter. Critical time was lost and their child suffered a serious brain injury. The case was settled for $7 million dollars. Mr. and Mrs. P. had been married nearly 40 years when their motorcycle was hit by the operator of a port-a-potty truck. Mr. P. was killed in the crash. He was survived by his wife and three adult children. Mrs. P. sustained serious orthopedic injuries in the crash. Mrs. P. is a nurse, and despite intense pain from the injuries sustained in the crash, she continued to work. Mr. P.’s death resulted in a sizeable loss of income, deeming it necessary for Mrs. P. to work in order to sustain the household. Traffic in the area of the motorcycle crash had been redirected as a result of nearby construction. The operator of the port-a-potty truck and the company for whom he worked blamed the crash on the company hired to divert traffic. This company had been hired by the general contractor in charge of construction in the nearby area. As a result of the finger pointing, Heintz & Becker filed a lawsuit against all parties, including the driver of the truck, the company for whom he worked, the company that was responsible for diverting traffic and the general contractor. Prior to prosecuting the wrongful death lawsuit, Heintz & Becker was instrumental in establishing excess insurance coverage, on the truck involved in the crash, in a Declaratory Judgment Action filed by the insurance carrier. After a persuasive PowerPoint presentation at a mediation conference held in the wrongful death case, a global settlement was reached for payment in the amount of $4.5 million. Mrs. P. no longer has to suffer the daily pain she experienced while working. Now she has the financial ability to care for herself, despite memories of the tragic accident and her own lingering injuries. Our client, a thirty year old man, was on a motorcycle in the Daytona Beach area when a truck made an improper turn in front of him. Among many fractures and internal injuries, he also suffered a traumatic brain injury as a result of the crash. The case was settled for $2.3 million. Ms. S. was a passenger on the back of a motorcycle traveling west on Cortez Road in Bradenton, Florida. The defendant, driving a rental vehicle traveling east on Cortez Road, attempted a left turn, directly in the path of that motorcycle. Ms. S., unfortunately, died as a result of her injuries. The defendant, after striking the motorcycle, fled the scene. He was located a few hours later in a mobile home with the rental car parked across the street. The defendant first asserted that the rental vehicle had been stolen and someone else was driving it at the time of the collision, despite there being no record of the vehicle being reported stolen prior to the collision. Investigation revealed that the defendant had probably been drinking prior to the collision. The defendant later asserted his Fifth Amendment privilege. Though the State Attorney’s Office refused to criminally prosecute the defendant, Heintz & Becker filed a civil suit seeking damages. The case was mediated and skilled injury lawyers at Heintz & Becker were able to successfully negotiate a settlement of the case for a total of $1.925 million. Mr. D. was just shy of his 47th wedding anniversary before being killed by a drunk driver. He married his high school sweetheart, Mrs. D., on June 4, 1955. His legacy includes six daughters, 17 grandchildren and three great-grandchildren. His family and friends described him as an honest and passionate man who provided for his family. He continued to work up until the time of his death. Mr. D. was returning from work the night the defendant, a drunk driver who was operating his father’s Ford truck, with at least a .191 BAC, killed him in a horrific crash. Mrs. D. had been waiting at home for her husband and was concerned because he was uncharacteristically late. She decided to get in her car and look for him, tragically coming upon the site of his crash. In his statement to the police, the defendant denied the crash was his fault, despite driving recklessly at an excessive speed and also having turned left directly in front of Mr. D.’s vehicle. He denied driving the truck and also denied being drunk. The State Attorney’s Office refused to prosecute. Mrs. D., grief stricken, retained Heintz & Becker to investigate the crash and pursue the defendant in a claim for the wrongful death of her husband. Heintz & Becker’s investigation uncovered a taped statement given by the defendant to his own insurance company. In the statement, the defendant admitted driving the truck, stating he was alone in the vehicle and also admitted that he had been drinking. In fact, he admitted to having at least nine beers prior to the crash. Heintz & Becker also discovered that the defendant had tried to flee the scene of the crash, evidence of consciousness of guilt. In addition, the firm discovered that the police had lifted a shoe print off the brake pedal of the truck that was consistent with the tread design and size of the Nike athletic shoes worn by the defendant on the date of the crash. Even more, it was discovered that striations taken from the broken rear view mirror found on the driver’s side of the defendant’s truck, were consistent with the shirt and pant fabric worn by the defendant on the night of the crash. Finally, it was discovered that the bruise on the defendant’s knee was consistent with hitting it on the dash of the truck, as an indentation was found there. Despite the evidence, the state still refused to prosecute. The defendant’s truck was insured for $100,000. Though clearly insufficient to reimburse Mrs. D. for the loss of her husband, she offered to settle with the insurer for its policy limit. A 30-day time demand was given to the insurance company. Despite having admissions of driving and intoxication on tape from its own insured, the insurer ignored the offer and no check was received until long after the 30-day restriction. Armed with what we believed to be a strong case against the insurer, the attorneys of Heintz & Becker decided to sue the defendant for wrongful death. The check was returned to the insurer. A mediation session was held in the case. At the mediation, a persuasive PowerPoint presentation proving the defendant’s guilt and the bad faith of the insurer, in not protecting its insured by forwarding the $100,000 policy limit in a timely manner, was given by Heintz & Becker. Presumably, the insurer agreed and settled the case shortly thereafter for $1.5 million. In addition, the law firm was able to secure an additional $25,000 from Mr. D.’s own underinsured motorist coverage, to help with estate expenses. Mr. and Mrs. Y.’s lives were changed substantially after being victimized by a negligent Florida motorist, while traveling on their motorcycle. In addition to suffering substantial orthopedic injuries, Mr. Y. lost his spleen as a result of the crash. Unfortunately, the at-fault driver carried only property damage coverage on his vehicle. He did not have bodily injury coverage, which would have afforded Mr. Y compensation for his personal injuries. Despite substantial injuries, Mr. Y. offered to settle all claims in exchange for the meager property damage liability limit under certain terms, which included providing a full release. When the insurance carrier rejected that offer, Heintz & Becker sued the at-fault driver. A jury returned a verdict on behalf of Mr. and Mrs. Y., in the amount of $1,109,941, considerably more than the offer to settle extended to Mr. and Mrs. Y. prior to filing a lawsuit. Mr. L., while working for an excavating company, was using a 14″ diameter circular saw with a diamond impregnated cutting edge blade to cut a concrete pipe. Mr. L. suddenly felt a severe burning pain in his leg. Three of the teeth had shot off of the blade and into his lower right leg. Basically, the saw blade had exploded like a grenade. Mr. L. underwent surgery to remove the teeth from his leg. He was diagnosed with a nerve injury to the leg, deep venous thrombosis and reflex sympathetic dystrophy, which is sometimes called complex regional pain syndrome. The injuries sustained to his right leg caused severe physical limitations, making it very difficult, almost impossible, for Mr. L. to secure employment. Heintz & Becker hired experts to examine the saw blade and determined that there were both design and manufacturing defects in the saw blade which allowed the teeth to separate from the blade. An expert was also hired to perform a vocational assessment of Mr. L. who determined that Mr. L. should be limited to working four hours per day in a job where he could alternate between sitting and standing and not be required to do any kneeling, squatting, climbing, running or stooping. A product liability lawsuit was filed against both the manufacturer and the distributor of the saw blade. After extensive litigation, the parties reached a settlement of $850,000. The settlement, in addition to the Social Security Disability and worker’s compensation benefits Mr. L. received, will provide for his future needs. In June of 2005, T.M., while visiting Florida with her family, tripped over a parking bumper in the parking lot of her vacation villa. As a result of her fall, she fractured her elbow, requiring multiple surgeries. Investigations conducted by Heintz & Becker revealed that the parking bumper was not in contrast with its surroundings, making it difficult to see. Additionally, inadequate lighting in the parking lot and a hedge located adjacent to the parking area made it nearly impossible to see the bumper. Despite the fact that these were all problems a can of paint, a lightbulb and some hedge clippers would have cured, the property owner took no action to make their property safer. They felt they were not negligent. In a near week-long trial, the attorneys of Heintz & Becker convinced a jury otherwise. With evidence of multiple building and lighting code violations, the property owner ultimately paid in excess of $817,000, inclusive of attorney’s fees and costs, as a result of their negligence. Ms. R. was riding her bicycle on the sidewalk at the intersection of Constitution Boulevard and Swift Road in Sarasota, Florida. Ms. R. was northbound on Swift Road approaching the intersection of Constitution Boulevard. A pickup truck, owned by a paving company and operated by one of their employees, was traveling east on Constitution Boulevard. The driver of the pickup stopped at the traffic light and looked south for oncoming traffic; however, he failed to look north and proceeded to make a right turn onto Swift Road. The truck ran over Ms. R. and dragged her for approximately six feet. Ms. R. sustained multiple injuries in this horrific accident, including a fractured pelvis, fractured right knee and fractured right femur. She underwent months of rehabilitation in order to regain her mobility. At the time of the accident, Ms. R. was working two jobs to make ends meet. Because of her injuries, she missed 22 weeks of work. 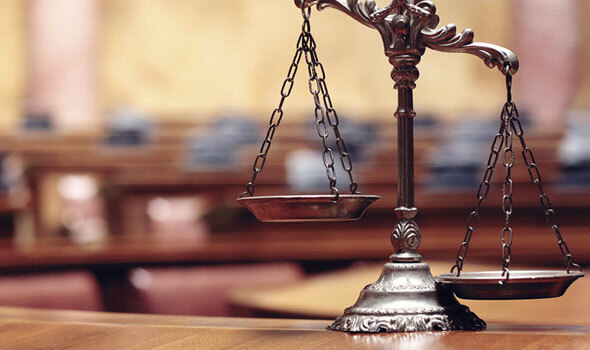 Heintz & Becker was able to successfully negotiate a settlement of Ms. R.’s case in the amount of $705,000. In addition to having all of her medical expenses paid and a lump sum of cash to save for any future needs, part of the settlement funds was placed into an annuity that will pay Ms. R. a monthly income to meet her expenses. Due to the diligent efforts of Heintz & Becker, Ms. R. now faces the future with financial security. Mr. W was a healthy young man prior to a negligent motorist pulling out from a side street directly into his path. Mr. W suffered a fractured and dislocated hip as a result of the crash. Ultimately he required a right side total hip replacement. Thankfully, Mr. W. had an excellent recovery. Despite the seriousness of his injury, the insurance carrier for the responsible party offered an amount that wouldn’t even cover Mr. W’s medical bills. Heintz & Becker filed a lawsuit on Mr. W’s behalf. On the eve of trial, the insurance carrier agreed to pay $600,000. Mr. W’s bills have been paid and he has the money necessary to care for his future medical needs. Ms. H. suffers from traumatically induced right-sided Brachial Plexopathy, a form of peripheral neuropathy. To Ms. H. these are just big words. All she understands is that the arm and wrist above her dominant hand are basically paralyzed in a spastic type palsy position close to her chest. She knows that any attempt to move her elbow or wrist causes substantial pain. She understands that as a result of her injury, her dominant hand has been rendered useless. She has great difficulty holding a pen or using her hand to form a grip. It is difficult to even run a comb through her hair, let alone apply makeup. Her life has been effectively shattered. She endures pain on a daily basis, not to mention the anguish she feels every time she looks at her right extremity deformity in the mirror. She continues to live on a daily regimen of pain killers. It is certainly not the way Ms. H. pictured her twilight years. Ms. H.’s injuries were the direct result of the negligence of two corporate entities. Company A had been contracted by the City of Bradenton to perform renovations along 12th Street West. During the course of renovations, Company A had leased a sign from Company B. The sign had been neglected to the extent that it was lying across the sidewalk of 6th Avenue West, in the vicinity of the 12th Street renovations, with its legs protruding across the sidewalk pointing toward the street. Ms. H had been walking along the very same sidewalk and tripped over the sign, thrusting her toward the concrete. She immediately suffered extreme pain in her right arm and wrist. Interestingly, Company A blamed Company B for the fall and Company B blamed Company A. Both corporations also saw fit to blame Ms. H. They argued the sign was plainly visible and it was Ms. H.’s fault for not seeing it. Ms. H. sought the assistance of the attorneys of Heintz & Becker. Despite having incurred nearly $65,000 in medical bills, Ms. H. was only offered $75,000. As a result, Heintz & Becker filed a slip-and-fall injury lawsuit against both negligent corporate entities. Ultimately, the firm was able to get the case settled for $450,000. Ms. H. now faces a future where she at least has financial security to cover the cost of her medical needs and expenses. Unfortunately, she will never be relieved of her pain. A rear-end motor vehicle collision took a toll on Mrs. M’s health. In addition to a rotator cuff injury, Mrs. M. suffered both neck and jaw injuries. Ultimately, she underwent shoulder surgery and will likely require jaw surgery in the future. Unfortunately, Mrs. M’s medical bills exceeded the at-fault driver’s available coverage limits. Notwithstanding this, the insurance company still refused to pay. As such, she sought the assistance of Heintz & Becker. Our law firm was able to find additional insurance for Mrs. M. through her own carrier. Since the at-fault driver did not have sufficient coverage, we checked to see whether Mrs. M. had “underinsured motorist coverage” through her own company. Mrs. M.’s company initially denied the claim, arguing that coverage had been rejected in writing; however, we were able to prove that the rejection was forged, and the company ultimately honored Mrs. M’s claim. In addition, we took the at-fault driver to trial resulting in a verdict substantially in excess of her policy limits. The insurance company ultimately paid $387,280.37. Mrs. M.’s medical bills have been paid, and she now has the money to meet her future needs. The insurance carrier was even required to pay Mrs. M.’s attorney fees. Mrs. W. was rear-ended on her way home from work. Approximately one year later she found herself on the surgeon’s table undergoing an anterior cervical discectomy, due to neck injuries suffered in the collision. The wreck left Mrs. W. in dire financial straits. Having missed almost a full year of work, a decision was made to drop Mr. W’s life insurance. The couple could not afford the premiums as a result of lost earnings. Despite this predicament, the at-fault driver’s insurance company failed to offer enough money to even cover Mrs. W.’s medical bills. Mr. and Mrs. W. sought the experience and expertise of the attorneys of Heintz & Becker, and we took the case to trial. A Manatee County jury returned a verdict that resulted in the insurance company paying $340,700.56. Mr. and Mrs. W. were left with the financial security they needed. This amount was well above the available policy limit and the insurance carrier was required to pay Mrs. W.’s attorney fees. Don’t let anyone tell you that a back sprain is not a serious injury. The common response from those suffering “whiplash” injuries to the skeptics is “Try to walk a mile in my shoes.” Back injuries are painful, and they can have a disastrous effect on one’s life. Just ask Mr. O., a client of Heintz & Becker. Mr. O. was the victim of a rear-end collision. Almost immediately following the accident, he began to suffer low back pain. He was ultimately diagnosed as suffering from a lumbar sprain. After more than a year of treatment, Mr. O.’s pain was still unresolved. His injuries are permanent. Aside from living with the pain, the accident had a tremendous effect on Mr. O.’s earning capacity. Mr. O. coached tennis and worked with professionals. While his injury did not affect his tennis ability, his stamina was greatly reduced. As a result, Mr. O. was forced to turn down job offers to work with well-known professionals. His lawyers concentrated their efforts in presenting a claim based primarily on Mr. O.’s economic loss. Initially, the liability carrier for the at-fault driver was only willing to offer $10,000 on the claim. As such, it was determined that a lawsuit was necessary. 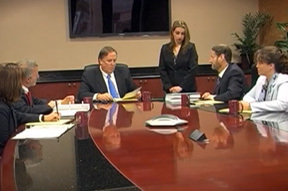 Just prior to trial, a mediation session was scheduled. Faced with a powerful presentation regarding Mr. O.’s past and future economic losses, the insurance company ultimately agreed to pay $325,000 to settle the claim. A “whiplash” injury can be serious. At least with respect to Mr. O.’s case, the insurance company ultimately agreed. Following her automobile wreck, Ms. P. suffered permanent injuries to both her neck and jaw. Unfortunately for Ms. P, her health insurance was canceled not long after, through no fault of her own. When Ms. P. secured a new policy, the insurer excluded coverage for treatment related to her neck and jaw. Ms. P. could no longer afford, in what amounted to more than $300 per month, an accident-related treatment. She was only 43 at the time of her wreck. The insurance company for the at-fault driver offered to settle the claim for a paltry $8,000 and argued that it was “just a whiplash.” Heintz & Becker took the case to trial. Realizing the severity of Ms. P.’s injury, a Sarasota County jury returned a verdict on her behalf in the amount of $250,000, an amount well above the defendant’s policy limit. Ms. P. now has the financial security she so desperately needed. At Heintz & Becker, we are proud of our achievements. However, we are not satisfied with showing how well we have done – we always want to show how good we still are. Our past verdicts and settlements provide us with the knowledge and experience to take on our next case. If you have suffered injury or the loss of a loved one because of the negligence or misconduct of another, contact our personal injury attorneys in Bradenton, serving clients from Sarasota and throughout Florida. During a free case consultation, our skilled lawyers will be able to review the facts of your case and determine how we can help you.